Shillong. 20 December: Sacred groves of India are forest fragments of varying sizes, which are communally protected, and which usually have a significant religious connotation for the protecting community. Hunting and logging are usually strictly prohibited within these patches. Sacred Groves are considered ecologically important hotspots of bio-diversity. When Himachal Pradesh has over 5000 such Sacred Groves, the state of Meghalaya has just about 50 of them struggling to survive. 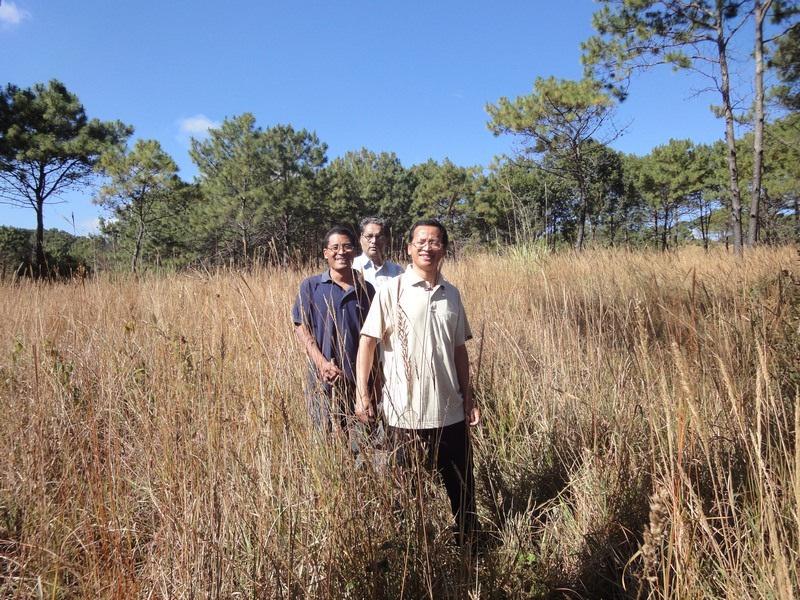 It is in this context, the Jesuits are floating the idea of converting their novitiate in Shillong, the capital of the state of Meghalaya into a Sacred Grove dedicated to the conservation of biodiversity. Shillong is situated at an average altitude of 4,908 feet (1,496 m) above sea level, with the highest point being Lum Shyllong at 6,447 feet (1,965 m). The city had a population of 260,520 according to the 2001 census. It is said that the rolling hills around the town reminded the European settlers of Scotland. 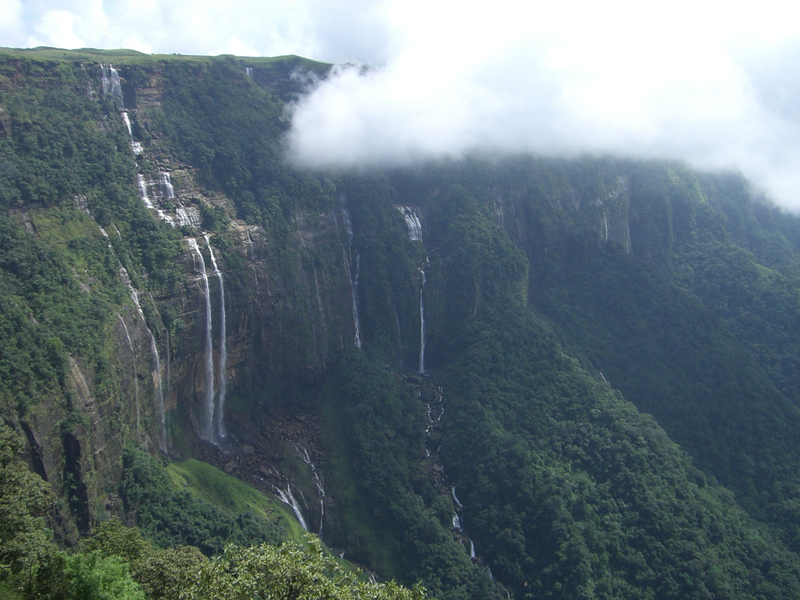 Hence, Shillong is also known as Scotland of the East. Shillong is well connected by two national high ways. It takes three-four hours by road to reach the city from Guwahati. The Jesuit campus, House of Arrupe has an area of 80 acres has a sheer drop of a thousand feet on one side and meandering meadows on the other side. The place has patches of pine and shola trees with a gurgling stream passing through to the water reservoir at the bottom part of the campus. Wild elephant grass and horse grass grow in between the patches of pine trees that filled up the hills. The proposed bio-reserve has the look of a prairie. Fr. Richard Jarain S.J, with a degree in Life Sciences, suggested the immediate possibility of planting indigenous trees in all the open patches of the land. He along with his novices has turned some of the open spaces to plant rice, ginger, beans, and yams. The soil looked dark and fertile with a lot of sand and gravel to make it soft for plantations like ginger. The percolated water from the slopes comes down to form natural ponds. “A few check dams could take care of the water needs of the sacred grove!” said Fr. Charles D’Souza, a veteran experienced in large plantations. The word “water” meant everything for the people of Meghalaya. The climate change has affected the state and the once wettest spot on the planet, Chirapunji, has dried up for months in the summer. Somebody suggested the possibility of laying pipes for 4-5 kilometres to bring water from a nearby mountain top. The budget then would become rather forbidding. Knowledgeable people agreed totally with the observation of Fr. Charles that the solution for the water lay right in the property with catchment ponds and check dams. 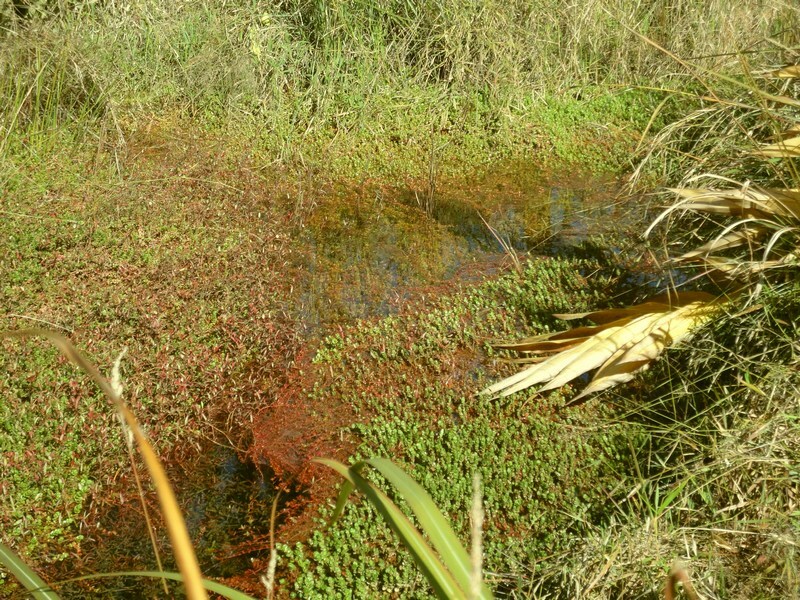 There are some small natural ponds in the property with fresh water and plenty of frogs. If only more water could be stored from the rainy season! Fr. 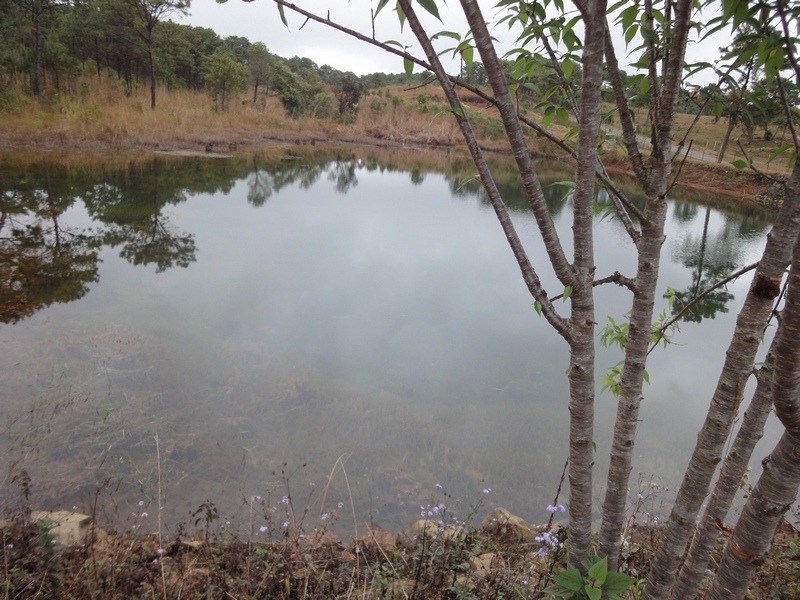 Charles suggested the construction of some “amoeba ponds” spread around the natural rock formations on the lower part of the land this coming summer. What bothered everybody were the forest fires in summer. 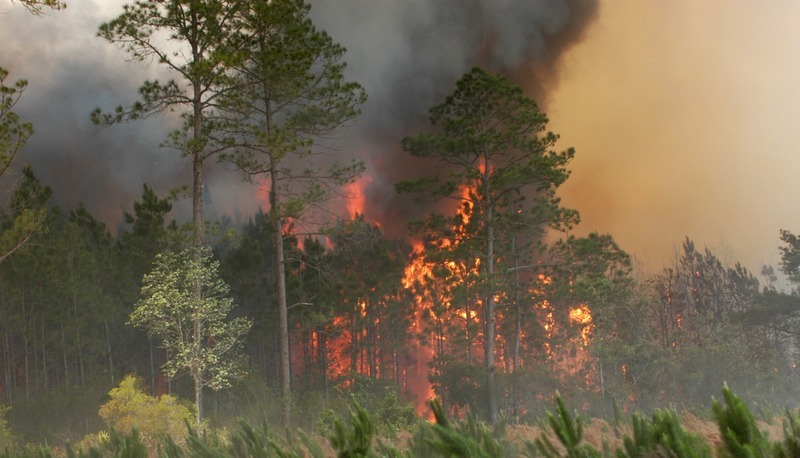 Each year forest fires were started by people who believes that large amount of smoke would attract the rains! The fires usually chucked up all the tall grass lands along with the saplings which had naturally sprouted or planted during the torrential rains. There were fire-lines around the property but anybody could hurl a lit up torch across these fire- breaks into the grasslands. Jesuit Fathers Yan and Richard Jarain formed a gritty combination in following up their dreams. 22 novices here have formed a team to construct lanes and by lanes crisscrossing the pine forest. Fr. Richard already got in touch with the Forest department and the officials were eager to lend a helping hand to plant the indigenous trees in the campus. A Professor of Botany, Mr James from the local college spent some time to identify and name the trees. The whole concept of a Bio-reserve is that it should support all life forms. Whether they are birds, jackals or medicinal herbs, Bio-reserve must become a critical moment in the regeneration of the rich bio-diversity of the planet. Fr. 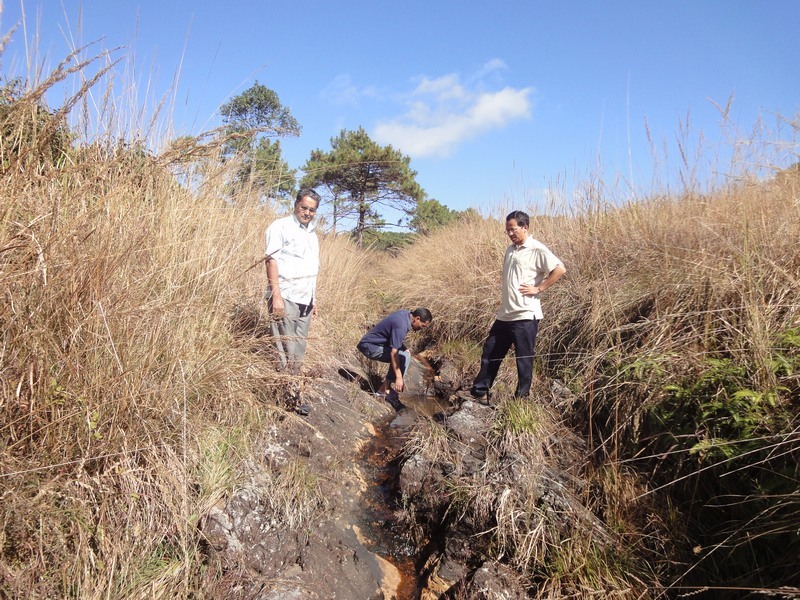 Richard felt that they needed to reach out to support the few surviving indigenous trees local to the Shillong hills. When the winter sun rose in the morning there was fairy tale charm in the whole atmosphere. The place is ideal for a retreat centre too. 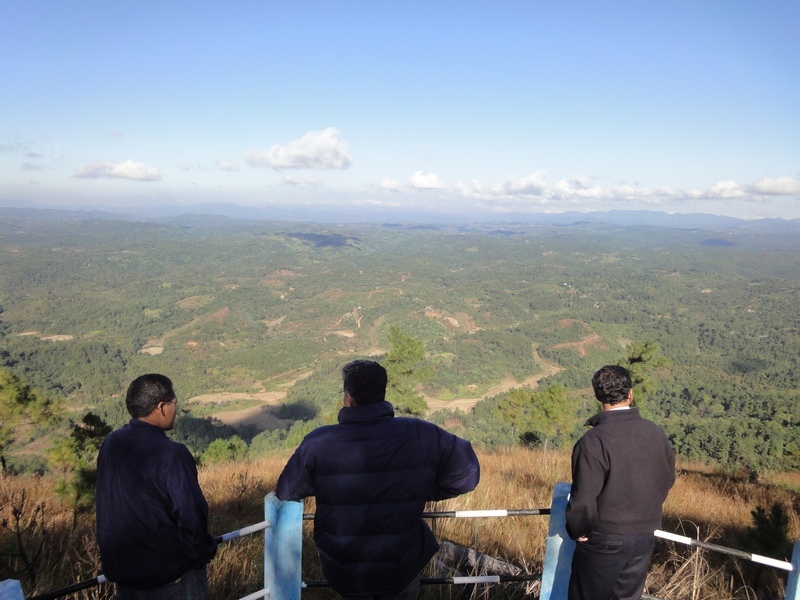 One can spend hours gazing down the hills to the plains of Assam below. The Jesuits Novices formed teams to execute their Seven point action plans in 2011. This entry was posted in Tarumitra and tagged Bio-reserve, Bioreserve, Forest fires, Jesuits, Khasis, Meghalaya, Novitiate, Shillong, Tarumitra, Water harvesting on December 25, 2010 by tarumitra. Being from Meghalaya, I think, this could be a big contribution by the learned Jesuit fathers for our State. There is very little concern shown to promote bio-diversity in this region of the country. We hope Fr. Richard Jarain and team will also build up a nursery of the disappearing trees and shrubs so that the visitors could carry along some of them for plantations. I visited the proposed Sacred Grove recently and came back very impressed by the efforts to conserve water in the property. I dont trust the forest department officials on biodiversity since they primarily propagate non-browsable plants and the ubiquitous pine trees. Please take adequate steps to protect the place from wild fires. People start these common fires in summer thinking that the smoke will attract rains. I am glad that there are supports and encouragement to care for the environment in all ways possible. The interest that Tarumitra is taking, in particular, will continue to raise our level of interest in this field. Though our novitiate land may not be as fertile as we wish it would be, yet that does not dampen our interest to pursue our plan.It might take months and years to build up but the fact is that we have already begun. Nay! we gave just begun!